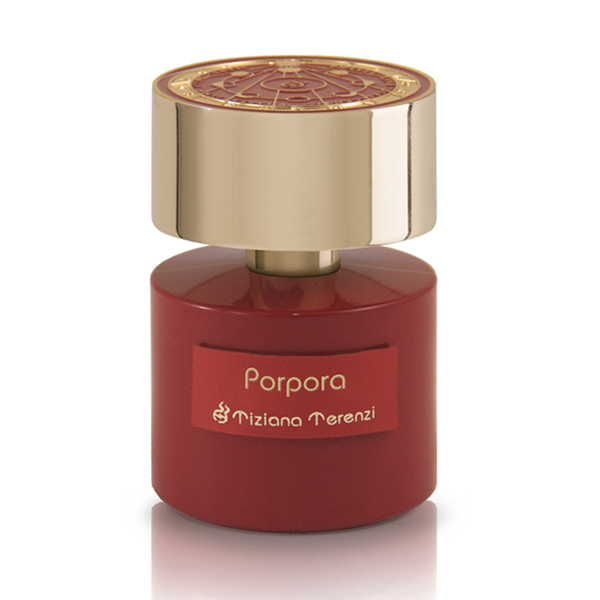 The stylistic pathway of the Moon Collection continues in its many forms, geared to explore confines never reached before in the art of perfume-making, driving us in this dreamlike journey towards cosmic spaces that are ever more mysterious and secret Porpora is the name of the work contained in this precious passion red bottle, decorated with a gilded jewel-shaped cap and depicting the lunar phases with fine lacquers in fiery red. The creation is inspired by the magnificence of the famous Red Moon which sometimes leaps out, in a sudden fiery ball of light, from behind the horizon. Perhaps the most magical and mysterious image of this long trip down memory lane, made by the child in us as we reflect on the most peaceful, carefree period of our lives. Paolo and Tiziana were at their holiday home, where the days passed peacefully in time with the sweet rhythm of the clock tower striking the hour in the distance. Often, after dinner, they would join Nonno Guglielmo in gazing at the celestial vault and its infinite depth. A vast stage of brilliant lights that faded into the distance, large and infinite enough to whisk them away in a whirl of emotion. Around the garden of the house there was a huge, beautiful rose garden, lovingly tended to with skill and wisdom by Nonna Luigia. This corner of paradise issued dense, alluring scents which became even more intense by evening, as the temperature would gradually fall, cooled down by the light breeze wafting in from the sea. Their grandfather would pick the roses of this magical place and use them to make his precious absolutes, with wisdom and patience. Paolo and Tiziana would help him to collect hundreds and thousands of large scented, velvety purplish petals, which he would then artfully place in the darkened copper pot of his alchemist’s alembic, which would shine like the moon. Over a low heat, fired by the wood of chestnut trees from the neighbouring wood, arranged skilfully by the firemaker under the pot, little drops of precious nectar would condense in the glass spirals of the alembic. Eyes bright with amazement, Paolo and Tiziana would spend hours watching that unfathomable phenomenon: the fire of the wood would turn beautiful rose petals into drops of precious absolute nectar. The magic of perfume extraction was happening right in front of their eyes, like a miracle from above, wafting its scent to faraway valleys. That evening, still excited by the all-encompassing experience of the sublimation and extraction of the absolute when suddenly, from behind the flower-clad hillside, they saw a super Moon burst out, enormous and shinier than ever before. A purplish red colour, flaming and majestic, it appeared so near to them that they were afraid it would fall on top of them. 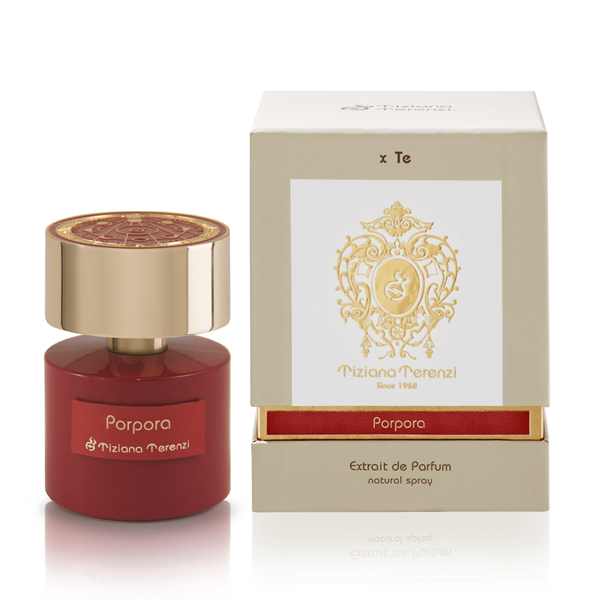 Alarm, enthralment, excitement and wonder when faced with so much magnificence are all enclosed in this precious creation, which opens with a bold top note provided by the Rose Absolute, surrounded by wild forest raspberries and spices, such as cinnamon and cloves. 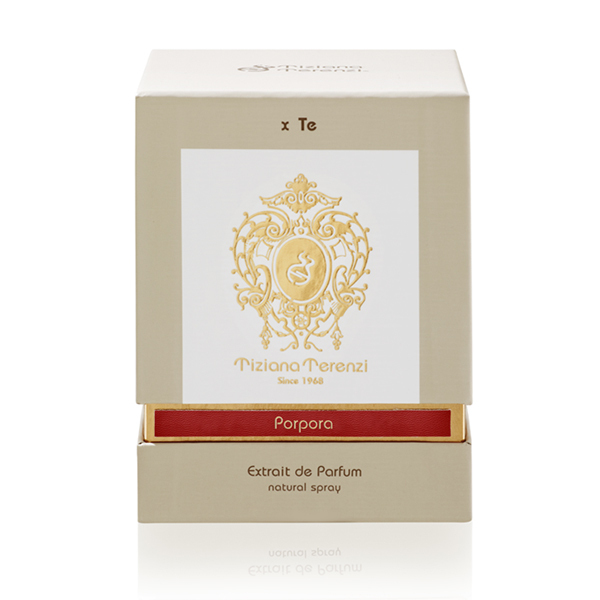 The bouquet of top notes then settles on an irreverent, brave heart, almost throwing all caution to the wind, thanks to an innovative intertwining of the sensual seductive power of Bulgarian Rose and the hypnotic effect of Poppy, contrasted by the mystical strength of incense and patchouli. This fine creation is sustained and characterised to ensure an extraordinary persistence on the skin, by the power of the chestnut wood, amalgamated with resins of Benjamin and Myrrh and enhanced by the mild strength of the precious blend of Amber & Musk, kept safe for more than thirty years by the Terenzi Family. The olfactory seal for a unique, rare essence.